Sardos J., Perrier X., Doležel J., Hřibová E., Christelová P., Van den Houwe I., Kilian A., Roux N.. 2016. DArT whole genome profiling provides insights on the evolution and taxonomy of edible Banana (Musa spp.). Annals of Botany. 118(7):mcw170. Kema G., Garcia F.A.. 2014. 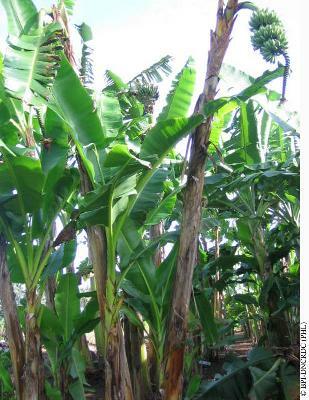 Phenotyping Banana Germplasm with Fusarium oxysporum f.sp. cubense Tropical Race 4. Sipen P, Davey MR. 2012. Effects of N(6)-benzylaminopurine and Indole Acetic Acid on In Vitro Shoot Multiplication, Nodule-like Meristem Proliferation and Plant Regeneration of Malaysian Bananas (Musa spp.).. Trop Life Sci Res. 23(2):67-80.